KATHMANDU, NEPAL—The catastrophic earthquake that struck Nepal on Saturday (April 25) has left thousands of casualties and widespread destruction to treasured monuments and buildings. 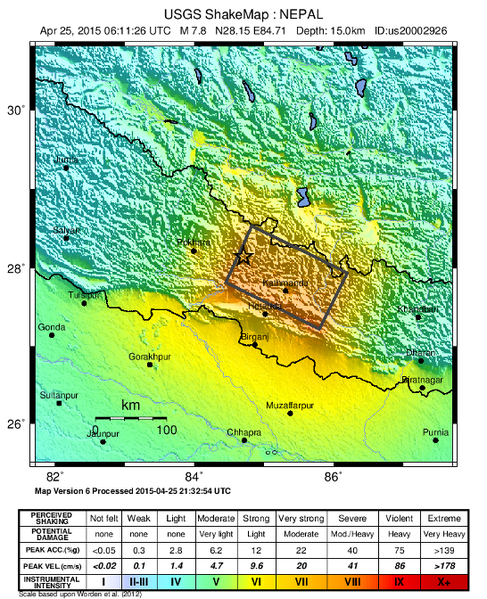 The 7.8 magnitude earthquake hit an area northwest of the capital city of Kathmandu, as well as remote mountain villages in the region, according to news reports and officials. A powerful earthquake struck Nepal on Saturday (April 25), killing at least 3,900 people. International relief efforts are underway. The death toll surpassed 3,900 as of Monday (April 27) morning, but experts said that number was likely to climb as rescue and recovery efforts continued. At least 7,180 people were reported injured. 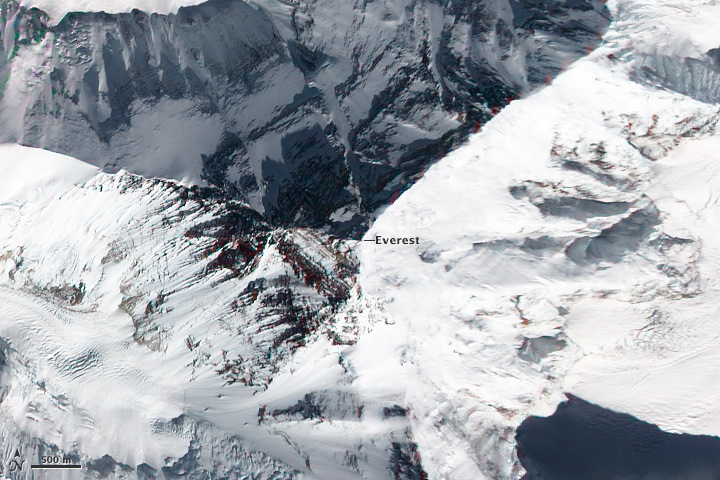 The powerful earthquake also triggered an avalanche Sunday on nearby Mount Everest, killing an additional 18 people, including three Americans. At least 200 climbers have been rescued, reports say. In addition, 61 people were killed in India, and 20 were reported dead in Tibet. Officials estimate that 6.6 million people live within 100 kilometers of the earthquake’s epicenter. The powerful earthquake also triggered an avalanche Sunday on nearby Mount Everest, killing 18 people, including three Americans. At least 200 climbers have been rescued, reports say. The Government of Nepal has declared a state of emergency and requested assistance. Water, food and electricity are all in short supply. Other priority needs include search-and-rescue help, medical assistance, rubble-removal equipment, and logistical support for transport to difficult-to-access areas, according to the United Nations. In Kathmandu, rescuers have been working around the clock to locate survivors and recover bodies still trapped under debris. More than 20 aftershocks, including one with a magnitude of 6.7, have hampered rescue efforts. Efforts to reach mountain villages have been hampered by landslides, reports relate. Roads and other public infrastructure are damaged, according to a U.S. Agency for International Development bulletin. Thousands of homes, many built of concrete, were flattened by the quake, leaving survivors to shelter in tents outside, according to reports. Located in the foothills of the Himalayas, the impoverished region is home to seven UNESCO World Heritage Sites. Four of seven UNESCO World Heritage Sites in the region were damaged by Saturday's earthquake. 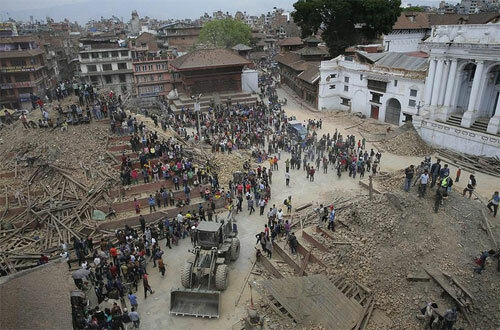 The Nepali Times called the destruction "an incalculable loss." Four of the historical sites, including three ancient city squares, were severely damaged by the quake, reports said. The destruction, “culturally speaking, is an incalculable loss,” according to the Nepali Times. The centuries-old monuments, buildings and structures feature intricate ornamentation and display some of the most highly developed craftsmanship of brick, stone, timber and bronze in the world, according to the Educational, Scientific and Cultural Organization (UNESCO). And while the disaster's focus has yet to turn to rebuilding, UNESCO and many others have already pledged support on that front. Among the losses is the Dharahara Tower, a nine-story watchtower that offered panoramic views of the capital city. The 19th-century, 200-step tower was reduced to a stump, the BBC reports. The Hindu reported that 180 bodies were retrieved from the tower’s debris. Moreover, 80 percent of the temples in the Basantapur Durbar Square, in central Kathmandu, were also destroyed, according to Ekantipur. In Bhaktapur, the country’s best-preserved ancient city, the 16th-century Vatsala Durga temple and many other buildings were destroyed, BBC reported. The Vatsala Durga was known for its sandstone walls and gold-topped pagodas. Founded in the third century, the stone architecture that made up the Patan Darbar Square was also razed, reports relate. A number of before-and-after photos of the sites were posted by thinkprogress.org. Historian Prushottam Lochan Shrestha told Ekantipur that the monuments could be lost forever, as rebuilding them is expensive and technically difficult. “We have lost most of the monuments that had been designated as World Heritage Sites in Kathmandu, Bhaktapur and Lalitpu,” she said. The total economic cost of reconstruction in Nepal could top $5 billion, according to an estimate from the IHS consultancy firm. The U.S. Geological Survey estimates the damage at $1 billion to $10 billion. USA Today has published a list of humanitarian efforts and links on how to donate.